Pretty Lonnie Sawyer is shy and innocent, used to fading into the background within her family, and among the creeks and hollows of the Appalachian hills. Though her family is poor and her father abusive, she clings to a quiet faith. But when handsome ladies’ man and bluegrass musician Gideon O'Riley steals a kiss, that one action seals her fate. Her father forces her into a hasty marriage with Gideon—a man she barely knows and does not love. Equally frustrated and confused by his new responsibilities, Gideon yearns for a fresh start, forcing Lonnie on an arduous journey away from her home in Rocky Knob. Her distant groom can’t seem to surrender his rage at the injustice of the forced matrimony or give Lonnie any claim in his life. What will it take for Gideon to give up his past, embrace Lonnie’s God, and discover a hope that can heal their two fractured hearts? "Be Still My Soul" goes on sale tomorrow (October 2nd) and you can purchase it from Waterbrook Multnomah, Amazon, Barnes & Noble, or these other fine retailers. 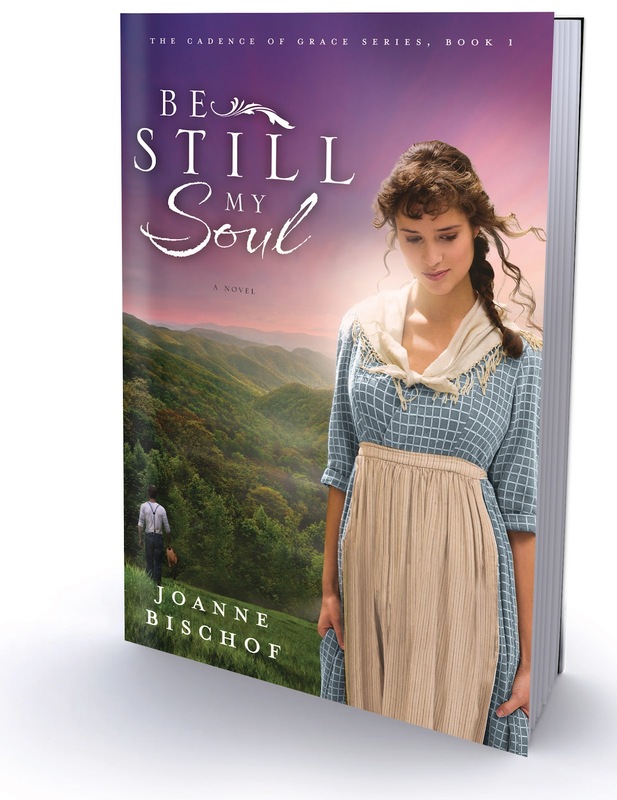 Be sure to visit Joanne's website - http://www.joannebischof.com - to read her blog or to see an excerpt from the book. If you'd like to try and win a copy for yourself, please check out the giveaway below! I learned Joanne didn't go to college. I was struck immediately by the picture of the eggs in the nest on the main page and I loved it! So pretty! I love historical fiction and especially set in the Appalachian Mountains. Would love to read the 1st book in this series. Hi Kathy! Its always wonderful to meet a fellow lover of historical fiction and I'm thrilled that the Appalachian setting resonated with you! I love that Joanne is a homeschooling mama! 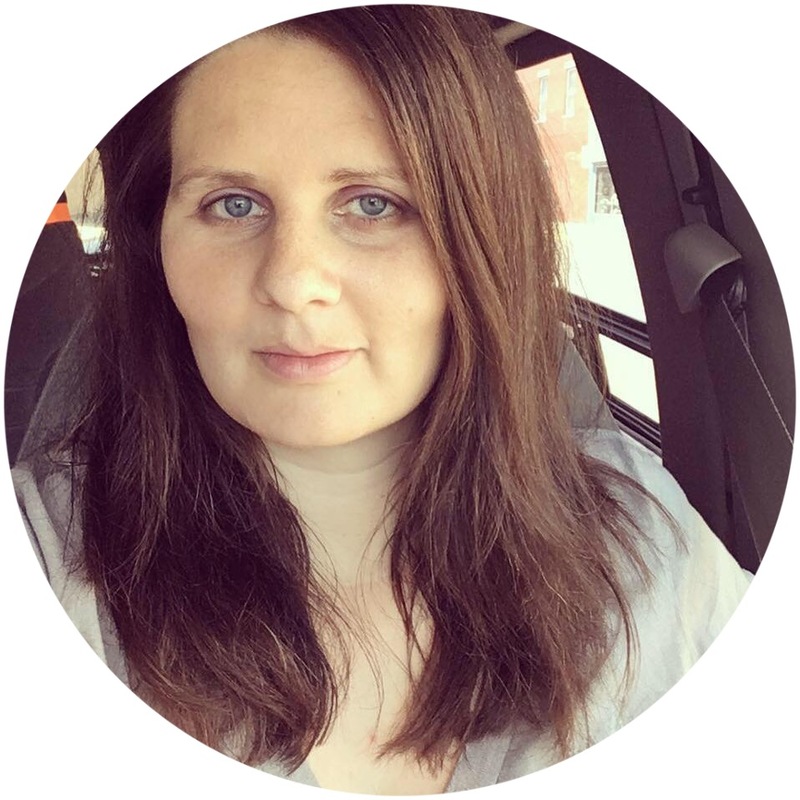 Lynn, I couldn't help peeking at your blog and saw that you were a homeschooling mama too! So nice to meet you! 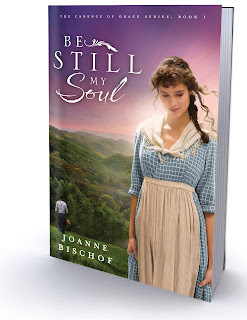 If you have the chance to read Be Still My Soul, I hope you enjoy it! I love how she described God on the first page.